STOCKHOLM -- Swedish brake systems supplier Haldex said its board has recommended shareholders approve a 4.4 billion crown ($515 million) cash offer by ZF Friedrichshafen and reject a separate takeover bid by SAF-Holland. Haldex said in July it had been approached by two suitors, including commercial vehicle components maker SAF-Holland. It did not name ZF at the time. Haldex said in a statement today that ZF's offer was "clearly superior" to a 4.2 billion crown bid by SAF-Holland. ZF said it planned to invest in Haldex, not cut costs. "It is ZF's intention to develop and expand Haldex technologically and regionally as part of the worldwide activities of ZF Group, especially in its commercial vehicles business," ZF said in a statement. ZF said Haldex's brakes and air suspensions business would fit well into its portfolio. "We believe that our businesses are truly complementary and that a combination will offer unique value for all stakeholders. We are confident that we will be able to continue to develop Haldex's market position under ZF ownership," ZF CEO Stefan Sommer said in the statement. No decisions have been made on the integration of Haldex within ZF Group, including changes to employees or management. ZF said Haldex chairman Goran Carlson, one of the Swedish firm's largest owners with 5.7 percent of shares, had agreed to accept the offer unless a higher bid comes. "We have taken note of the offer," SAF-Holland said on Thursday, offering no further comment. ZF acquired TRW Automotive last year. It supplies technological solutions to the automotive sector and has a global workforce of around 138,300 in some 40 countries and reported sales of 29.2 billion euros in 2015. Haldex, a leading supplier of brake adjusters, has 2,200 employees in 18 countries. 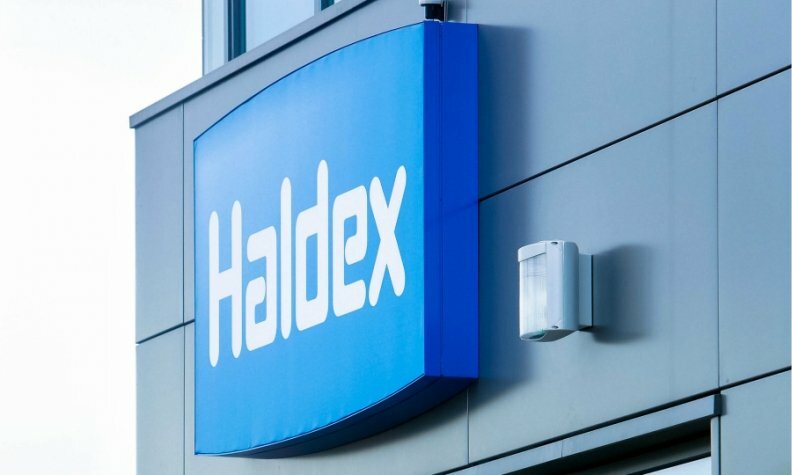 Haldex said it had considered risks associated with operating in a highly competitive automotive market with tight margins. "Because of its relatively small size, Haldex is more exposed to these risks than other larger players in the market," it said in a statement. It said ZF's cash offer represented a premium of approximately 34.4 percent per share compared to Haldex's volume-weighted average price during the three months prior to the announcement of SAF-Holland's bid on July 14. The premium was largely in line with recent takeover offers for listed Swedish manufacturing companies. The acceptance period will start on August 22 and expire on or around September 30.